-10% off and -20% off for vets on all orders over $20 (shipping not included) placed today on the 4th of July!! follow me on instagram @bad_element_co ! new product! 1 rd bottle opener mag! Visit www.badelement.co my new E-Store to buy my current merchandise! 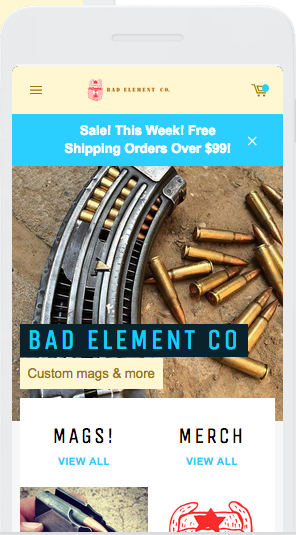 Bad Element Co. LLC custom magazine service. Helping you get the mags you want. Custom mags for professionals, enthusiasts, and ban state brothers! Rivet limited and cut down mags. Please note that email responses from me are slow right now due to things, but I will get to you as soon as I can and value your support! Nick/B.E. Follow me on instagram @bad_element_co to stay up to date on products and pics of custom work. Want a custom magazine for your personal arsenal? Tired of the words "sorry these items cannot be shipped to..." ? I am your work around and here to help! Ask me about bulk discounts and cooperation with your business or online dealers to open up opportunities with ban state shoppers! Window mags , Khyber Pass BFPU style conversion, more styles available. Gauge mag. analog pointer/round counter. 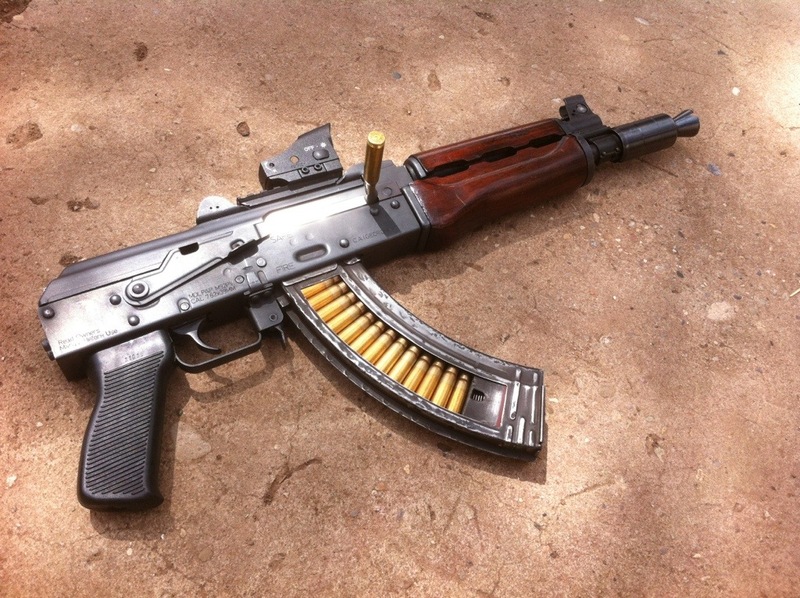 Obviously a novelty mag for the kalash lover stylized as Khyber pass or Russian machine. Its a functional mag but really art and just a fun piece for the collector that has it all and wants something more! 1) Find the mags you want and need and address them here. 2) When they arrive they will be converted to your specification. 3) I'll forward the converted mags to you in your state. Get what you want now! Cut down AK "tanker" mag clones com-block mags Bulgarian polymer and Russian Bakelite. Great for prone shooting, paratrooper and vehicle use too! These mags are shortened and hold 10, 15 or 20 rounds based on need.